This manual increment cutter is lightweight and perfect for those small jobs. Easy to clean and store-away. 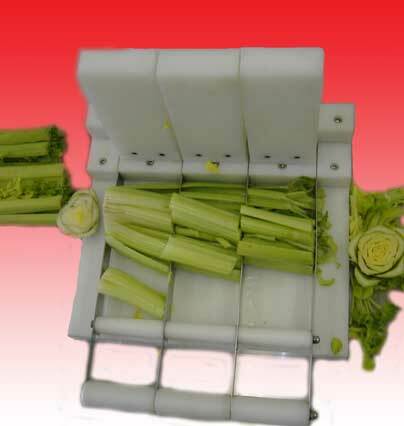 Segmenting celery, carrorts, squash and other long root and leafy vegetables into uniform lengths with one swift pull-down. 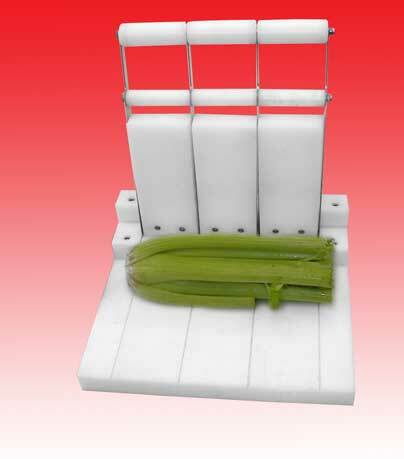 Our standard size is a 4" or can be custom made to your required length. Replacement blades available.